Collapse is a complex and controversial subject. I’ve found a lack of well designed and organized guides for newcomers to the topic. This is an attempt to fill this gap by cataloging the most relevant individuals, concepts, and resources into the most effective overview possible. The content here has been selected through personal research and responses to my Collapse Survey. The survey has enabled me to consider some of the best choices in each area and is the best way to give structured feedback. Although, it has only received twenty eight submissions (as of February 2019) and has a ways to go towards any form of consensus. Please take it if you have any experience with this subject and would be willing to contribute. I’m not a writer or researcher, just someone who is passionate about learning about this subject. A majority of this information was derived directly from Wikipedia and the individual’s or organization’s own websites. My intention has not been to reinvent the wheel or rely exclusively on my own words, but to share the best and most relevant information possible in a clear and concise way. Overindulging in this material may be detrimental to your mental health. Anxiety and depression are common reactions when studying collapse. Please remain conscious of your mental health and effects this may have on you. If you are considering suicide, please call a hotline or seek professional help. If you are having difficulty coping and looking for dialogue you may visit r/CollapseSupport,the Collapse Discord, or contact me personally. Collapse, in this context, refers to the significant loss of an established level or complexity towards a much simpler state. It can occur differently within many areas, orderly or chaotically, and be willing or unwilling. It does not necessarily imply human extinction or a singular, global event. Although, the longer the duration, the more it resembles a ‘decline’ instead of collapse. “Collapse is a broad term that can cover many kinds of processes. It means different things to different people. Some see collapse as a thing that could happen only to societies organized at the most complex level. To them, the notion of tribal societies or village horticulturalists collapsing will seem odd. Others view collapse in terms of economic disintegration, of which the predicted end of industrial society is the ultimate expression. A society has collapsed when it displays a rapid, significant loss of an established level of sociopolitical complexity. The term ‘established level’ is important. To qualify as an instance of collapse a society must have been at, or developing toward, a level of complexity for more than one or two generations. The collapse, in turn, must be rapid – taking no more than a few decades – and must entail a substantial loss of sociopolitical structure. Losses that are less severe, or take longer to occur, are to be considered cases of weakness and decline. Collapse is manifest in such things as: a lower degree of stratification and social differentiation; less economic and occupational specialization, of individuals, groups, and terri­tories; less centralized control; that is, less regulation and integration of diverse econo­mic and political groups by elites; less behavioral control and regimentation; less investment in the epiphenomena of complexity, those elements that define the concept of ‘civilization’: monumental architecture, artistic and literary achievements, and the like; less flow of information between individuals, between political and economic groups, and between a center and its periphery; less sharing, trading, and redistribution of resources; less overall coordination and organization of individuals and groups; a smaller territory integrated within a single political unit. “Although each stage [of collapse] causes physical, observable changes in the environment, these can be gradual, while the mental flip is generally quite swift. It is something of a cultural universal that nobody (but a real fool) wants to be the last fool to believe in a lie. Stage 1: Financial collapse. Faith in “business as usual” is lost. The future is no longer assumed to resemble the past in any way that allows risk to be assessed and financial assets to be guaranteed. Financial institutions become insolvent; savings are wiped out and access to capital is lost. Stage 3: Political collapse. Faith that “the government will take care of you” is lost. As official attempts to mitigate widespread loss of access to commercial sources of survival necessities fail to make a difference, the political establishment loses legitimacy and relevance. Stage 4: Social collapse. Faith that “your people will take care of you” is lost, as local social institutions, be they charities or other groups that rush in to fill the power vacuum, run out of resources or fail through internal conflict. t is too difficult to determine specifically when collapse could occur given the complexity, scales, and scenarios. Although, to paraphrase William Gibson, “the collapse is here, it’s just not widely distributed yet.” If you’ve been unemployed since the recession in 2008 or live in Flint, Michigan it might seem like collapse has already hit. Ecological collapse is currently underway and drastically affecting many forms of life on Earth. Meanwhile, others have only been minorly inconvenienced or remain ignorant entirely. When regarding time frames, it is best to remain cognizant of the difference between prediction and projection. Predictions have no weight or observational basis or founded in belief. Projections use existing data and attempt to project a scenario or timeline into the future based on inherent trends within an existing set of data. How long does collapse take? Perspectives vary widely in regard to the actual time frames of collapse. Joseph Tainter has stated it must be rapid or last no more than a few decades and involve substantial simplifications to society to constitute a collapse. Losses which are less severe or take longer are considered cases of weakness or decline. We can still observe non-linear or isolated instances of collapse within a system, as long as we are aware of the distinctions. John Michael Greer’s theory of catabolic collapse is also a potential outcome, stating collapse will follow a stairstep sequence of decline marked by cycles of breakdown (catabolism) and buildup (anabolism). The inevitability of collapse is widely disputed and distinctions are difficult to make in terms of the potential or ability of humans to change their conscious or unconscious behaviors leading to specific outcomes. Collapse is certainly inevitable if we continue down our default path. Our ability to conceive of the inevitability or probability rests deeply within our basis of understanding collapse and numerous factors feeding into it. “To make the case for the imminent collapse of global industrial civilization, it is necessary to prove two things. The first is to account for the Earth’s finite endowment of fossil fuels, metal ores, other industrial and agricultural inputs, fresh water and fertile soil, and to demonstrate that many of these resources are either past their all-time peak of production or will soon achieve it. The second is to prove that, as these resources become too scarce to allow the global industrial economy to grow, the result will be collapse rather than a slow and steady deterioration that could continue for centuries without reaching any conclusive, historical endpoint. “All complex systems, both living and non-living, self organize to maximize available energy and resources. This is a key concept that forms the very foundation of ecology,or study of ecosystem and is also referred to as the Maximum Power Principle. These flows of energy and resources can be thought of as “stocks” and “sinks”. Stocks are accumulations of resources, and sinks are accumulations of wastes. Sometimes these flows of energy and resources become organized in such a way that one system’s sink becomes another system’s stock. Any system can only grow to the extent it does not exhaust its accumulations of resources or to the extent it does not overwhelm the capacity of it’s sinks. This the basis of the concept of carrying capacity, or ability of a given environment or eco system to support a species sustainably by providing stocks and flows of resources and safely absorbing accumulations of wastes. The very definition of “sustainable” is to stay within the long term carrying capacity of your environment by not over-exploiting resources and over-accumulating wastes. It is possible to overshoot the long term carrying capacity of your environment by over-exploiting large stocks of accumulated resources. This temporarily increases short term carrying capacity by enabling population growth above what would otherwise be sustainable by the long term carrying capacity. Once these resources are exhausted, the excess population which was enabled by the consumption of these finite stocks becomes redundant and dies off or collapses. Home sapiens have grossly overshot the long term carrying capacity of our environment, mostly through the over-exploitation of extremely large accumulations of sunlight in the form of long buried hydrocarbons within the Earth’s crust, namely fossil fuels. Fossil Fuels have supplied such a high quality and quantity of energy it has enabled the rampant growth of both our population and exploitation of many other resources on our planet. This has also grossly overwhelmed the ability of our environment to safely absorb our wastes, mostly in the form of greenhouse gasses, and are now beginning to experience the consequences of a destabilized climate as a result. How do I talk to others about collapse? Collapse is a complex, abstract, in the future, and extremely scary notion. We also currently lack the ability to collectively agree how to solve it, regardless of how you personally may have chosen to respond. Be aware of the ultimate purpose of whatever conversation you wish to have. Familiarize yourself with the subject first so you can effectively answer questions with confidence and maintain a consistent message. Be aware of the barriers to understanding collapse and remain patient when confronted with them in others. Prepare for whatever you consider to be the most likely form of collapse. For many, this means basic emergency-preparedness. A supply of food and water, an emergency kit, first-aid training and resources, etc. can be useful in a wide range of circumstances. Depending on your area, preparing for various types of natural disasters can be prudent. Others develop hobbies or other preparations which will be useful whether a collapse or disaster hits or not. Getting involved with your neighbors and community is important as well. Building local connections and relationships is a powerful strategy for relisiency. This is good advice whether or not collapse occurs. You may also consider visiting r/PostCollapse for resources and discussions focused more exclusively on preparation. If you are considering suicide call a hotline or seek professional help. If you are feeling down and looking for dialogue may visit r/CollapseSupport, the Collapse Discord, or contact me personally. At this stage there seem to be no fundamental problems, just some shortcomings in human organization, behavior and morality which can be fixed with the proper attention to rule-making. People at this stage tend to live their lives happily, with occasional outbursts of annoyance around election times or the quarterly corporate earnings seasons. Whether it’s climate change, overpopulation, peak oil, chemical pollution, oceanic over-fishing, biodiversity loss, corporatism, economic instability or sociopolitical injustice, one problem seems to engage the attention completely. People at this stage tend to become ardent activists for their chosen cause. They tend to be very vocal about their personal issue, and blind to any others. As people let in more evidence from different domains, the awareness of complexity begins to grow. At this point a person worries about the prioritization of problems in terms of their immediacy and degree of impact. People at this stage may become reluctant to acknowledge new problems – for example, someone who is committed to fighting for social justice and against climate change may not recognize the problem of resource depletion. They may feel that the problem space is already complex enough, and the addition of any new concerns will only dilute the effort that needs to be focused on solving the “highest priority” problem. The realization that a solution in one domain may worsen a problem in another marks the beginning of large-scale system-level thinking. It also marks the transition from thinking of the situation in terms of a set of problems to thinking of it in terms of a predicament. At this point the possibility that there may not be a solution begins to raise its head. People who arrive at this stage tend to withdraw into tight circles of like-minded individuals in order to trade insights and deepen their understanding of what’s going on. These circles are necessarily small, both because personal dialogue is essential for this depth of exploration, and because there just aren’t very many people who have arrived at this level of understanding. This includes everything we do, how we do it, our relationships with each other, as well as our treatment of the rest of the biosphere and the physical planet. With this realization, the floodgates open, and no problem is exempt from consideration or acceptance. The very concept of a “Solution” is seen through, and cast aside as a waste of effort. Where do you fall on this scale? Answering this question is the first step to orienting yourself. For those who arrive at the last stage there is a real risk depression will set in. After all, we’ve learned throughout our lives our hope for tomorrow lies in our ability to solve problems today. When no amount of human cleverness appears able to solve our predicament the possibility of hope can vanish like a the light of a candle flame, to be replaced by the suffocating darkness of despair. However, the inner path does not imply a “retreat into religion”. Most of the people I’ve met who have chosen an inner path have as little use for traditional religion as their counterparts on the outer path have for traditional politics. Organized religion is usually seen as part of the predicament rather than a valid response to it. Those who have arrived at this point have no interest in hiding from or easing the painful truth, rather they wish to create a coherent personal context for it. Personal spirituality of one sort or another often works for this, but organized religion rarely does. It’s worth mentioning that there is also the possibility of a serious personal difficulty at this point. If someone cannot choose an outer path for whatever reasons, and is also resistant to the idea of inner growth or spirituality as a response the the crisis of an entire planet, then they are truly in a bind. There are few other doorways out of this depth of despair. If one remains stuck here for an extended period of time, life can begin to seem awfully bleak, and violence against either the world or oneself may begin begin to seem like a reasonable option. Please keep a watchful eye on your own progress, and if you encounter someone else who may be in this state, please offer them a supportive ear. 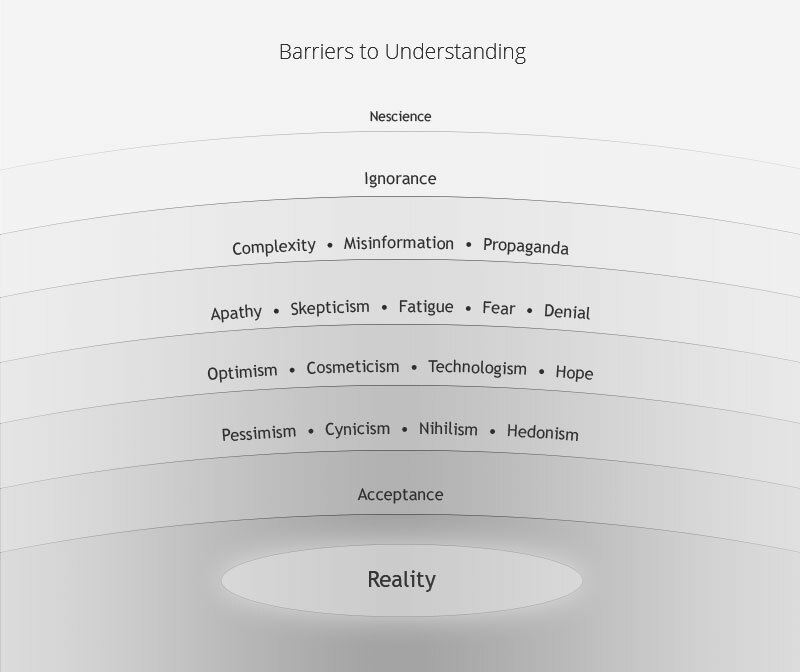 There are numerous barriers to developing an understanding of collapse. Despite how obvious some of these may seem, an awareness of them helps to navigate them and be more tolerant of others, regardless of what stage we are at. Ignorance is the most prominent barrier to understanding. It should not be confused with ‘nescience’ or a state of not knowing because knowledge is entirely absent or unattainable. Ignorance involves a conscious choice or series of choices to disregard information and develop an understanding of it. Societal conditioning compels us to avoid any information which would disturb our sense of equanimity. Fear of personal responsibility and the inability to face present or future suffering are major triggers of this form of psychological resistance. Courage is required to venture through the unknown towards the reality of our predicament. Denial occurs after we have taken in information and consciously reject it to avoid an uncomfortable truth. William Catton termed this behavior ‘ostrichism’ or the strategy of sticking your head in the figurative sand and expecting an issue to go away or persistent belief nothing will change and refusal to face facts. A recent theory of mind proposes it may have been central to our development as a species. Ajit Varki and Danny Brower’s “Mind Over Reality Transition” (MORT) theory provides significant reasoning for our trajectory to date. They suggest we have succeeded as a species due in large part to an evolved denial of reality, but this behavior is now a disadvantage and preventing a majority of us from recognizing and acting on systemic issues such as climate change and overshoot. Rob Mielcarski un-Denial site, an excellent exploration of the MORT theory. We’re referring to generalized apathy, not the diagnosed syndrome, versions with a biological basis, or forms of depression. Apathy is traditionally defined by lack of motivation or feeling and can result from emotional desensitization, fear of failure, or habitualized acceptance of boredom. Apathy can develop as a defense mechanism to guard ourselves from failure or confrontation. In certain cases, acting as though nothing really matters is the path of least resistance. It can also be a response to ‘apocalypse fatigue’, a term coined by George Will to describe the media’s fixation on framing issues in eschatological terms. Overexposure to this information or portrayals of distant suffering can trigger guilt or disconnect from the contexts presented, regardless of how capable one is from acting on them or supporting others who are able to do so. Understanding the underlying causes and nature of our predicament is extremely challenging. Collapse is a concept against which our human brains are almost incapable of reacting to. It is complex, abstract, in the future, extremely scary, and we currently lack the ability to collectively agree how to solve it. Assessing the myriad of perspectives is a significant investment and the time before we can confidently or effectively contribute to discussions on these subjects is immense. We’ve done our best to share the best introductory resources here and continually collaborate on building a basis for navigating these issues. Hope is a belief in or expectation of some future outcome. Depending on the likelihood and variety of what we wish to occur it prevents us from seeing a clear picture of the future and taking action to address present circumstances. The variations of hope are better explored through the perspectives of individual beliefs surrounding the future and covered in the next section. Growthism is the insistence upon the limitlessness of growth regardless of the present circumstance or consequences. It disregards the finiteness of the world and accepts uncritically a myth of limitlessness or notion of eternal progress. Cosmeticism is the belief relatively superficial adjustments in our activities will ensure a positive future and perpetuate growth or the Age of Exuberance. Individual recycling, environmental protection laws, and individual choices are perceived as the best and common strategies for overcoming the limits of growth. Optimism is the general attitude or belief a specific endeavor or outcomes in general will be positive and desirable. Humans are biologically predisposed towards optimism (123), but takes many different forms. Techno-optimism is especially common and the subnotion technology will always save us or technological innovation will stave off collapse. Both stem from our inability to fully conceive of the risks and negative aspects of future technology or present circumstances. Pessimism is the general attitude or belief a specific endeavor or outcomes in general will be negative and undesirable. It is marked by the tendency to see the worst aspects of things or believe the worst will happen. Defeatism can be linked to pessimism and is the acceptance of defeat without struggle, often with negative connotations. It can also be related to determinism, fatalism, or the belief we have no power to influence the future or our own actions. Pessimism should remain distinct from cynicism, which has more marked philosophical origins. Modern cynicism is more defined by a distrust of others’ motives and belief individuals will act solely based on self interest. Realism initially appeared within the context of climate change as an antonym to alarmism. Currently, it generally points at someone who either actively strives against both optimistic and pessimistic tendencies or someone who has reach a degree of acceptance with the possibility of extremely negative outcomes. Realism is a difficult road and involves agitating for the best option while still preparing for the worst. It can also be used as a form of shorthand to dismiss any perceivably ignorant or naive belief in opposition to what we perceive as the systemic and wicked problems inherent to our predicament. These are the primary pressures pushing civilization towards collapse. I’ve chosen to outline those which are the most global, systemic, and potentially impactful. I’ve also shared these with others in the community in an effort to obtain as much feedback as possible. Global economic growth rates peaked decades ago. Our sources of food and water are diminishing. 1.7 Rye, C. (2018). A Review of EROEI-dynamics Energy-transition Models. Retrieved from https://www.scribd.com/document/385677010/A-Review-of-EROEI-dynamics-Energy-transition-Models-Rye-2018. Hagens is a well-known speaker on global issues and teaches a honors seminar at the University of Minnesota called ‘Reality 101 – A Survey of the Human Predicament’. He is on the boards of the Post Carbon Institute, Bottleneck Foundation, Institute for Integrated Economic Research, and Institute for the Study of Energy and the Future. Previously, he was lead editor of The Oil Drum, one of the most popular websites for analysis and discussion of global energy economics. Hagens has appeared on PBS, BBC, ABC and NPR, and has lectured around the world. Hagens holds a Masters Degree in Finance with Honors from the University of Chicago and a PhD in Natural Resources from the University of Vermont. He spent his early career in finance and was President of Sanctuary Asset Management and a Vice President at the investment firms Salomon Brothers and Lehman Brothers. 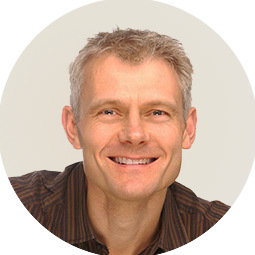 Martenson is an economic researcher and futurist specializing in energy and resource depletion, and co-founder of PeakProsperity.com with Adam Taggart. As one of the early bloggers who forecasted the housing market collapse and stock market correction years in advance, Chris rose to prominence with the launch of his video seminar, The Crash Course, which has also been published in book form. 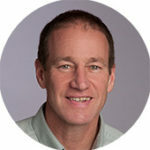 Prior to spending four years educating himself and developing the course and other materials to help individuals understand and take action, Chris was a Vice President at a Fortune 300 Company and spent over ten years in corporate finance and strategic consulting. He has a PhD in pathology from Duke University and an MBA from Cornell University. “…I am not an economist. I am trained as a scientist, having completed both a PhD and a post-doctoral program at Duke University, where I specialized in neurotoxicology. I tell you this because my extensive training as a scientist informs and guides how I think. I gather data, I develop hypotheses, and I continually seek to accept or reject my hypotheses based on the evidence at hand. I let the data tell me the story. McPherson is best known for his many predictions regarding imminent global collapse or near term extinction (NTE), as he has termed it. He first gained notoriety in the mid 2000s by predicting the end of civilization in under a decade due to peak oil, but now largely cites climate change and self-reinforcing feedback loops. According to McPherson, current climate data demonstrates it is far too late to cut down on carbon emissions and mitigate the 40-year global warming process; accelerating climate feedbacks could cause a global average temperature increase of between 1-6° Celsius. The extreme nature of his predictions have granted him significant publicity and criticism. His warnings go far beyond most, as he generally considers humanity could dry out by 2030. 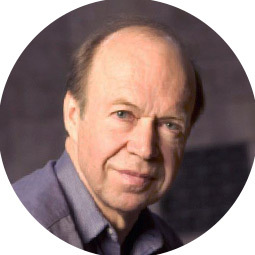 McPherson’s message has shifted from evidence-based claims or commentary in recent years to being more focused on love and finding purpose amidst the implications of his perceived timeline for humanity. Hansen is best known for his research in climatology, his 1988 Congressional testimony on climate change that helped raise broad awareness of global warming, and his advocacy of action to avoid dangerous climate change. In recent years he has become a climate activist to mitigate the effects of climate change, on a few occasions leading to his arrest. After graduate school, Hansen worked with radiative transfer models, attempting to understand the Venusian atmosphere. Later he applied and refined these models to understand the Earth’s atmosphere, in particular, the effects that aerosols and trace gases have on Earth’s climate. Hansen’s development and use of global climate models has contributed to the further understanding of the Earth’s climate. In 2009 his first book, Storms of My Grandchildren, was published. In 2012 he presented a TED Talk: Why I must speak out about climate change. As of 2014, Hansen directs the Program on Climate Science, Awareness and Solutions at Columbia University’s Earth Institute. The program is working to continue to “connect the dots” from advancing basic climate science to promoting public awareness to advocating policy actions. Hansen is representing his granddaughter as well as “future generations” as plaintiffs in the Juliana v. US lawsuit, which is suing the United States government and some of its executive branch’s positions for not protecting a stable climate system. In 2007, Hansen alleged that in 2005 NASA administrators had attempted to influence his public statements about the causes of climate change. Hansen said that NASA public relations staff were ordered to review his public statements and interviews after a December 2005 lecture at the American Geophysical Union in San Francisco. NASA responded that its policies are similar to those of any other federal agency in requiring employees to coordinate all statements with the public affairs office without exception. Two years after Hansen and other agency employees described a pattern of distortion and suppression of climate science by political appointees, the agency’s inspector general confirmed that such activities had taken place, with the NASA Office of Public Affairs having “reduced, marginalized or mischaracterized climate change science made available to the general public”. In June 2006, Hansen appeared on 60 Minutes stating that the George W. Bush White House had edited climate-related press releases reported by federal agencies to make global warming seem less threatening. He also stated he was unable to speak freely without the backlash of other government officials, and that he had not experienced that level of restrictions on communicating with the public during his career. Hansen and 1251 other activists were arrested in August and September 2011, at another demonstration in front of the White House. Hansen urged President Obama to reject the Keystone pipeline extension intended to carry more synthetic crude oil from Canada’s Athabasca Tar Sands to the Gulf of Mexico. On February 13, 2013, Hansen was again arrested at the White House, along with Daryl Hannah and Robert F. Kennedy, Jr., during a further protest against the proposed Keystone pipeline extension. Diamond is a professor of geography at the University of California, Los Angeles. Some of his notable books are The Rise and Fall of the Third Chimpanzee (1991), Collapse: How Societies Choose to Fail or Succeed (2005), and The World until Yesterday: What Can We Learn from Traditional Societies (2012). His book Guns, Germs, and Steel: The Fates of Human Societies (1997) has been translated in thirty-three different languages and garnered sales of millions of copies across the globe. The book shot him to global fame and also fetched him the ‘Pulitzer Prize’ in 1998, apart from other awards. Diamond is the recipient of a MacArthur Foundation Genius Award; research prizes and grants from the National Geographic Society, American Physiological Society, and Zoological Society of San Diego; and many teaching awards and endowed public lectureships. In addition, he has been elected a member of all three of the leading U.S. national scientific and academic honorary societies—the National Academy of Sciences, the American Academy of Arts and Sciences, and the American Philosophical Society. He is a founding member of the board of the Society of Conservation Biology and a member of the board of directors of World Wildlife Fund/USA and Conservation International. Diamond’s field experience includes seventeen expeditions to New Guinea and neighboring islands to study ecology and evolution of birds; rediscovery of New Guinea’s long-lost golden-fronted bowerbird; other field projects in North America, South America, Africa, Asia, and Australia. As a conservationist he devised a comprehensive plan, almost all of which was subsequently implemented, for Indonesian New Guinea’s national park system; numerous field projects for the Indonesian government and World Wildlife Fund; founding member of the board of the Society of Conservation Biology; member of the Board of Directors of World Wildlife Fund/USA. Greer is a neo-pagan whose work focuses on the overlaps between ecology, spirituality, and future of industrial society. 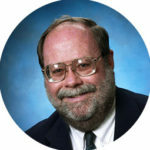 Greer blogged for many years at the now retired “Archdruid Report” and has authored more than fifty books on esoteric traditions, nature spirituality, and the deindustrial future of civilization. 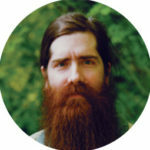 Greer now blogs at ecosophia.net and continues to be a widely respected writer and teacher within the occult field. Greer is an initiate in Druidic, Hermetic, and Masonic lineages and served twelve years as Grand Archdruid of the Ancient Order of Druids in America. He currently heads the Druidical Order of the Golden Dawn and is a certified instructor in one of the old “temple styles” of t’ai chi ch’uan. 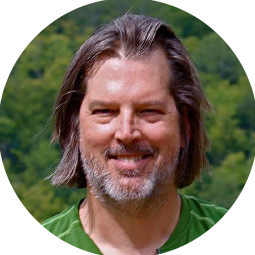 Greer’s involvement in sustainability issues dates back to the early 1980s, when he was active in the Appropriate Technology movement and became certified as a Master Conserver. He is the author of many titles relating to collapse, including The Long Descent (2008), The Ecotechnic Future (2009), The Wealth of Nature (2011), After Progress (2015), and Dark Age America: Climate Change, Cultural Collapse, the Hard Future Ahead (2016), and Not the Future We Ordered: Peak Oil, Psychology, and the Myth of Progress (2018). Tainter is an anthropologist and historian who currently works as a Professor of Sustainability in the Department of Environment and Society College of Natural Resources at Utah State University. While in New Mexico he worked as an Archeologist at the USDA Forest Service. He has published several works, including Drilling Down: The Gulf Oil Debacle and Our Energy Dilemma (2011), Supply-Side Sustainability (2003), Evolving Complexity and Environmental Risk in the Prehistoric Southwest (2018). Additionally he has published numerous articles, monographs, and appeared on film and television, including the documentary The 11th Hour. Tainter is best known for his book The Collapse of Complex Societies (1988) where he examines the nature of collapse through numerous ancient civilizations. 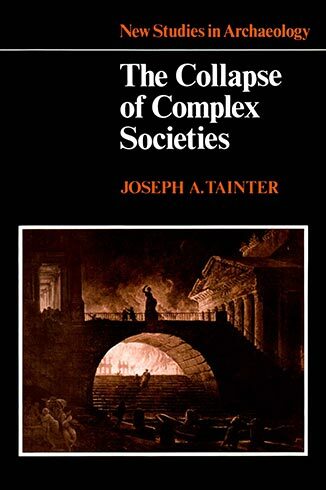 Tainter argues the collapse of a society follows from the success or failure of its problem-solving institutions and occurs when their investments in social complexity and energy subsidies reach a point of diminishing returns. 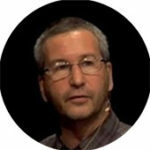 From Tainter’s perspective, we are likely already past the tipping point towards collapse, but just don’t know it yet. “Sustainability requires that people have the ability and the inclination to think broadly in terms of time and space. In other words, to think broadly in a geographical sense about the world around them, as well as the state of the world as a whole. And also, to think broadly in time in terms of the near and distant future and what resources will be available to our children and our grandchildren and our great grandchildren. We have developed the most complex society humanity has ever known. And we have maintained it up to this point. I have argued that technological innovation and other kinds of innovation evolve like any other aspect of complexity. The investments in research and development grow increasingly complex and reach diminishing returns. We cannot forever continue to spend more and more on technological innovation when we’ve reached the point of diminishing returns, which I argue we have reached. Anderson is professor of energy and climate change at the University of Manchester. He was previously director of the Tyndall Centre, the UK’s leading academic climate change research organisation, where he held a joint post with the University of East Anglia. He is an active researcher with recent publications in Royal Society journals, Nature and Energy Policy, and engages widely across all tiers of government. Anderson has a decade’s industrial experience, principally in the petrochemical industry. He sits as commissioner on the Welsh Government’s climate change commission and is a director of Greenstone Carbon Management – a London-based company providing emission-related advice to private and public sector organisations. Anderson is a chartered engineer and Fellow of the Institution of Mechanical Engineers. Anderson’s work on carbon budgets has been pivotal in revealing the widening gulf between political rhetoric on climate change and the reality of rapidly escalating emissions. His work emphasizes there is now little to no chance of keeping the rise in global mean surface temperature below 4°C, as early as 2050, despite repeated high-level statements to the contrary. Anderson has concluded only a planned economic downturn accompanied by severe energy austerity by the one percent who use 50% of the world’s energy can avoid a climate disaster. He has also accused too many climate scientists of keeping quiet about the unrealistic assessments put out by governments and regularly criticized our own overconfidance on the promise of new technologies to forgo our predicament. “Certainly the rhetoric of action is ramping up. Yet those who talk confidently about renewables, nuclear and “carbon capture and storage” (CCS) eventually driving down emissions in decades to come are guilty of misunderstanding the fundamental science of climate change. 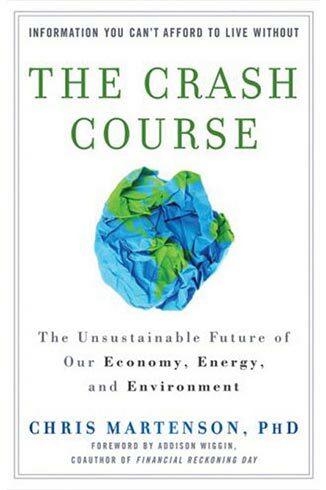 Heinberg has written extensively on energy, economic, and ecological issues and is regarded as one of the world’s foremost experts on the urgency and challenges of transitioning society away from fossil fuels. 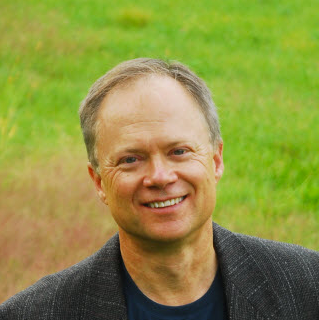 Heinberg has authored scores of essays and articles and is the author of thirteen books, including Powerdown: Options and Actions for a Post-Carbon World (2004) and The End of Growth: Adapting to Our New Economic Reality (2011). His latest book is Our Renewable Future: Laying the Path to One Hundred Percent Clean Energy (2016), co-authored with Berkeley energy expert David Fridley. Heinberg also hosts Resilience.org’s online course Think Resilience. Heinberg is the Senior Fellow of the Post Carbon Institute in Santa Rosa, California and editor of MuseLetter. He also serves on the advisory board of The Climate Mobilization, a grassroots advocacy group calling for a national economic mobilization against climate change, with the goal of 100% clean energy and net zero greenhouse gas emissions by 2025. Richard has appeared in many film and television documentaries, including Leonardo DiCaprio’s 11th Hour. He is a recipient of the M. King Hubbert Award for Excellence in Energy Education. Richard’s animations Don’t Worry, Drive On (2012), Who Killed Economic Growth? (2011) and 300 Years of Fossil Fuels in 300 Seconds (2010) (winner of a YouTubes’s DoGooder Video of the Year Award) have been viewed by nearly two million people. 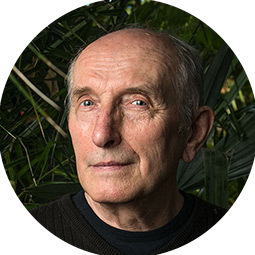 Smil has spent his career exploring the fields of energy, environmental and population change, food production and nutrition, technical innovation, risk assessment and public policy and is widely regarded as one of the most important thinkers of our time. 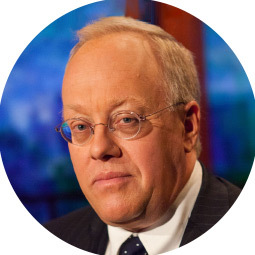 He has published forty books and over 500 papers, worked as a consultant for many US, EU and international institutions, and lectured at many conferences and universities around the world.He was named one of Foreign Policy’s Top 100 Global Thinkers of 2010 and received an OPEC Award in 2015 for his research on energy. Smil’s range of expertise is expansive. In 2013 alone, he published four books on a wide array of global issues. Harvesting the Biosphere looked at the extent in which we exploit the world’s resources for food and raw materials. Should We Eat Meat? provided a systematic look at the evolution of human carnivorism and modern meat production. Made in the USA: The Rise and Retreat of American Manufacturing explained how manufacturing made the U.S. a superpower and how that achievement has been been dwindling. Finally, Making the Modern World: Materials and Dematerialization focused on material foundations of modern civilization and more efficient uses of materials. Smil is critical there will be a rapid transition to clean energy, believing it will take much longer than many predict. Smil said “I have never been wrong on these major energy and environmental issues because I have nothing to sell,” unlike many energy companies and politicians. Smil notes that as of 2018, coal, oil, and natural gas still supply 90% of the world’s primary energy. Despite decades of growth of renewable energy, the world uses more fossil fuels in 2018 than in 2000. His work points out the modern energy industry constitutes the world’s most massive, indispensable, expensive and inertial infrastructure. Jensen is an author and radical environmentalist. He has published several books, including The Culture of Make Believe (2002) and Endgame (2006), many of which critique civilization as a social system, explore its inherent values, hidden premises, and modern links to supremacism, oppression, and genocide, as well as corporate, domestic, and worldwide ecological abuse. Jensen is a direct opponent of civilization, rejecting the notion it can ever be an ethical or sustainable model for human society. He describes the linguistically and historically defensible definition of civilization as “a culture — that is, a complex of stories, institutions, and artifacts — that both leads to and emerges from the growth of cities and the definition of city as a group of “people living more or less permanently in one place in densities high enough to require the routine importation of food and other necessities of life.” He states civilizations and cities are both unsustainable, since if you require the importation of resources, you’ve denuded the landscape of those particular resources, and, as your city grows, you will be forced to denude an ever-larger area. He then states your way of life must be based on violence, since if you require the importation of resources, trade will never be sufficiently reliable, and if you require the importation of resources and the people in the next watershed over aren’t going to trade you for it, you’re going to take it by force. Jensen advocates non-anthropocentrism, or ecocentrism, according to which humans should primarily support the flourishing of natural communities and their many individual species, rather than the flourishing of humans alone and they should extend the status of personhood to all organisms and ecosystems, including non-human animals and plants. His view, which moves the central moral focus away from civilized humans, names and chastisizes some of the underlying values most championed by modern civilization, including technological advancement, economic growth, the inevitability of progress, and sustainability as seen through the lens of “development”. Jensen promotes a way of life which is harmonious in a truly ecological sense, and is thus lastingly sustainable, such as the diverse ways of life historically exhibited by many indigenous, non-civilized cultures. He claims “the fundamental difference between Western and indigenous ways of being is that even the most open-minded Westerners generally perceive listening to the natural world as a metaphor, as opposed to the way the world really is.” While indigenous peoples understand the world as consisting of other beings with whom we can enter into relationship, he argues Westerners believe the world consists merely of objects or resources to be exploited or used. With respect to the question of human overpopulation, Jensen concedes that it is a social and environmental problem, but only at a “tertiary” level, and that overconsumption—along with civilization and its ruthless, expansionist cultural mindset—is the primary problem faced by the world. Hedges spent nearly two decades as a foreign correspondent in Central America, West Asia, Africa, and the Middle East. 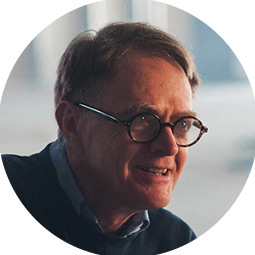 He has reported from more than fifty countries, and has worked for The Christian Science Monitor, NPR, Dallas Morning News, and The New York Times, where he was a foreign correspondent for fifteen years. In 2001, Hedges contributed to The New York Times staff entry which received the 2002 Pulitzer Prize for Explanatory Reporting for the paper’s coverage of global terrorism. He also received the Amnesty International Global Award for Human Rights Journalism in 2002. In 2003, shortly after the war in Iraq began, Hedges was asked to give the commencement address at Rockford College in Rockford, Illinois. He told the graduating class “…we are embarking on an occupation that, if history is any guide, will be as damaging to our souls as it will be to our prestige, power and security.” He went on to say that “This is a war of liberation in Iraq, but it is a war of liberation by Iraqis from American occupation.” As he spoke, several hundred members of the audience began jeering and booing. His microphone was cut twice. Two young men rushed the stage to try to prevent him from speaking and Hedges had to cut short his address. He was escorted off campus by security officials before the diplomas were awarded. This event made national news and he became a lightning rod not only for right wing pundits and commentators, but also mainstream newspapers. The Wall Street Journal ran an editorial which denounced his anti-war stance and the The New York Times issued a formal reprimand, forbidding Hedges to speak about the war. The reprimand condemned his remarks as undermining the paper’s impartiality. Hedges resigned shortly thereafter and became a senior fellow at the Nation Institute. Hedges is a columnist for the progressive news and commentary website Truthdig, for which The Los Angeles Press Club named him Online Journalist of the Year in 2009 and 2011.His books include War Is a Force That Gives Us Meaning (2002), a finalist for the National Book Critics Circle Award for Nonfiction; Collateral Damage (2008), Empire of Illusion: The End of Literacy and the Triumph of Spectacle (2009); Death of the Liberal Class (2010); Days of Destruction, Days of Revolt (2012), Wages of Rebellion: The Moral Imperative of Revolt (2015), and his most recent America: The Farewell Tour (2018). Hedges currently hosts On Contact on RT, the Russian television network. Hedges’ focus has shifted to ever more provocative examinations of American collapse. His time spent observing conflict and collapse in other countries has made his political and historical perspectives poignant and highly regarded in the collapse community. The late professor Barlett is said to have given this celebrated lecture no less than seventeen hundred times to audiences world-wide. He first gave the talk in September, 1969, and subsequently has presented it an average of once every 8.5 days for 36 years. 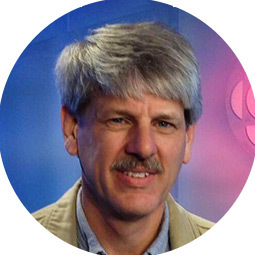 His talk is based on his paper, “Forgotten Fundamentals of the Energy Crisis,” originally published in the American Journal of Physics, and revised in the Journal of Geological Education. 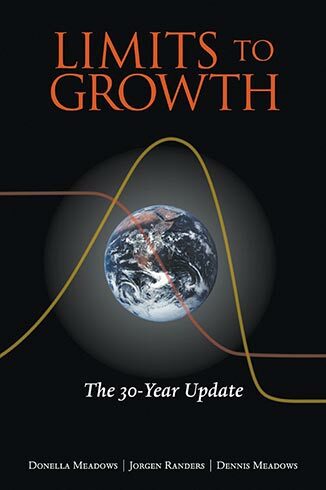 Bartlett begins by telling his class he hopes to convince them that “the greatest shortcoming of the human race is our inability to understand the exponential function.” He gives a basic introduction to the arithmetic of steady growth and consequences of steady growth in a finite environment. He proceeds to examine many of the oddly reassuring statements from experts, the media, and political leaders which remain dramatically inconsistent with the limits of growth. Tainter is best known for his book The Collapse of Complex Societies (1988). In this lecture he explains the relationship between historical societies and complexity, collapse, productivity, sustainability, and innovation, largely focusing on the Roman Empire. Tainter argues societies can become too complex to effectively solve problems or meets the costs of such complexity, leading to some hard questions we must ask ourselves regarding our present day society. The audio quality is somewhat lacking, but it serves as a great summary of his book and influential perspectives on collapse. 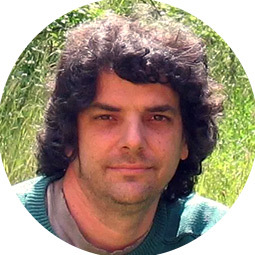 Rees is biologist, systems ecologist, fellow to the Post Carbon Institute, and best known as the originator and co-developer (with his graduate students) of ecological footprint analysis. He propses urban-industrial society is inherently unsustainable, and our way of thinking is fundamentally at odds with the way natural systems work. He shows how models which seperate us from nature or our economy from our enviornment are flawed and misunderstood. 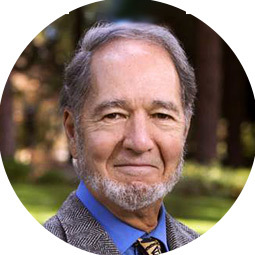 His lecture definies and connects many core concepts related to collapse, such as overshoot, thermodynamics, climate change, and degrowth, into an excellent overview of our current predicament. Martenson is best known for his video series Crash Course and book of the same name. In this lecture he presents a condensed version of the material and explains why he thinks the coming twenty years are going to look completely unlike the previous two decades. He focuses on the economy, energy and environment and explores their interconnectedness He explains how our economy is dependant on expential growth and how quickly things will speed up as we approach the end of the curve. His lecture is not as detailed as his book or polished as his video series, but gives a personalized and condensed presentation of his core ideas. Anderson is professor of energy and climate change at the University of Manchester.He also has a decade’s industrial experience and is director of Greenstone Carbon Management – a London-based company providing emission-related advice to private and public sector organisations. Anderson’s work on carbon budgets has been pivotal in revealing the widening gulf between political rhetoric on climate change and the reality of rapidly escalating emissions. His work emphasizes increasing infeasibility of keeping global mean surface temperature below 2°C, despite repeated high-level statements to the contrary. Anderson shows how the Paris agreements reflect our misplaced belief in technological solutions and fundamental misunerstanding of climate change. He suggests deep and rapid changes in our behaviors and practices are necessary if we wish to actually meet our goals. The Limits to Growth (LTG) started in 1972 as a report funded by the Volkswagen Foundation, commissioned by the international think tank Club of Rome. Using system dynamics theory and a computer model called “World3,” the book proposed twelve potential futures and environmental outcomes of the world over two centuries from 1972 to 2100. The scenarios showed how population growth and natural resource use interacted to impose limits to industrial growth, a novel and even controversial idea at the time. In 1972, however, the world’s population and economy were still comfortably within the planet’s carrying capacity. The authors found there was still room to grow safely while humanity considered its options. “…the main scientific conclusion of the [original] study was that delays in global decision making would cause the human economy to overshoot planetary limits before the growth in the human ecological footprint slowed. Once in unsustainable territory, human society would be forced to reduce its rate of resource use and its rate of emissions. 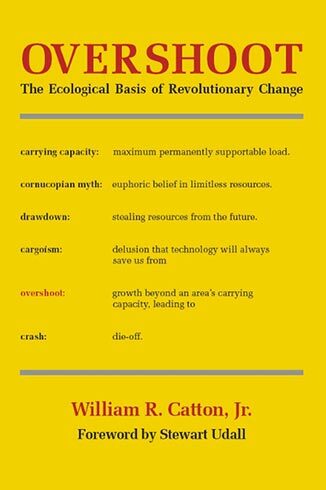 Catton explained how the inhabitants of modern civilization (homo colossus, he calls us, due to our prodigious use of energy and prosthetic amplification devices) are living more and more luxuriously, but more dependently on limited resources and energy we have unearthed from the geological past. The result, he says, is a mortgaging of our and our descendants’ future. Many of Catton’s observations were fairly prescient. Because of humankind’s lack of understanding and wisdom, he saw likeness of collapse as our current exuberant interlude comes to a close. We may claim innocence by reason of ignorance, but Catton reminded us, nature does not care about our ignorance. Diamond’s previous books include The Third Chimpanzee (1991), The World Until Yesterday (2012), and Guns, Germs, and Steel (1997), winner of the Pulitzer Prize. 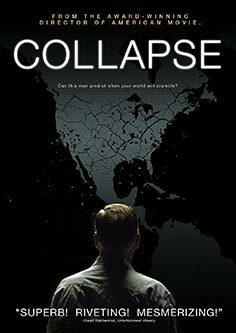 In Collapse (2005) Diamond explores how climate change, overpopulation, and political discord create the conditions for the collapse of civilization. As in Guns, Germs, and Steel (1997), Diamond traces the fundamental patterns of past catastrophes, weaving through a series of historical-cultural narratives. He looks at the Polynesian cultures on Easter Island to the flourishing American civilizations of the Anasazi and finally to the doomed Viking colony on Greenland. Tainter’s book examines the collapse ancient civilizations in terms of network theory, energy economics, and complexity theory. Tainter argues that sustainability or collapse of societies follow from the success or failure of problem-solving institutions and that societies collapse when their investments in social complexity and their “energy subsidies” reach a point of diminishing marginal returns. 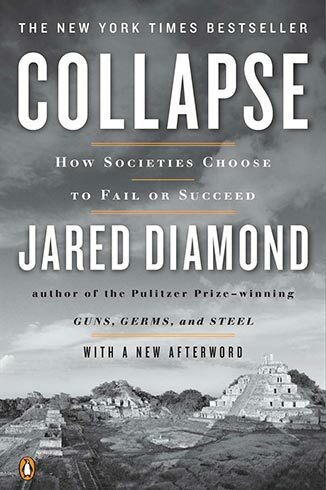 He recognizes collapse when a society involuntarily sheds a significant portion of its complexity. Tainter proposes societies become more complex as they try to solve problems. Social complexity can be recognized by numerous differentiated and specialized social and economic roles and many mechanisms through which they are coordinated, and by reliance on symbolic and abstract communication, and the existence of a class of information producers and analysts who are not involved in primary resource production. Such complexity requires a substantial “energy” subsidy (meaning the consumption of resources, or other forms of wealth). When a society confronts a “problem,” such as a shortage of energy, or difficulty in gaining access to it, it tends to create new layers of bureaucracy, infrastructure, or social class to address the challenge. Tainter, who first identifies seventeen examples of rapid collapse of societies, applies his model to three case studies: The Western Roman Empire, the Maya civilization, and the Chaco culture. Tainter begins by categorizing and examining the often inconsistent explanations that have been offered for collapse in the literature. In his view, while invasions, crop failures, disease or environmental degradation may be the apparent causes of societal collapse, the ultimate cause is an economic one, inherent in the structure of society rather than in external shocks which may batter them: diminishing returns on investments in social complexity. Finally, Tainter show that marginal returns on investments in energy (EROEI), education, and technological innovation are diminishing today. The globalized modern world is subject to many of the same stresses that brought older societies to ruin. Martenson is best known for his video series Crash Course and website PeakProsperity.com. His book delves deeper into the concepts presented there and why he thinks the coming twenty years will look completely unlike the previous two decades. He focuses on the economy, energy and environment (the ‘three E’s’ as he calls them) and their fundamental interconnectedness. He shows how our economy is dependant on exponential growth and how quickly things will speed up as we approach the end of various curves. Despite the percieved drops in global living standards, Martenson offers a positive vision for how people can reshape their lives to become more balanced, resilient, and sustainable. His skills as a teacher make his work widely accessible and available in many forms. Greer has written extensively on matters of ecology, spirituality, sustainability, and future of industrial society. He is the author of many titles relating to collapse, The Ecotechnic Future (2009), The Wealth of Nature (2011), After Progress (2015), and Dark Age America: Climate Change, Cultural Collapse, the Hard Future Ahead (2016), and Not the Future We Ordered: Peak Oil, Psychology, and the Myth of Progress (2018). 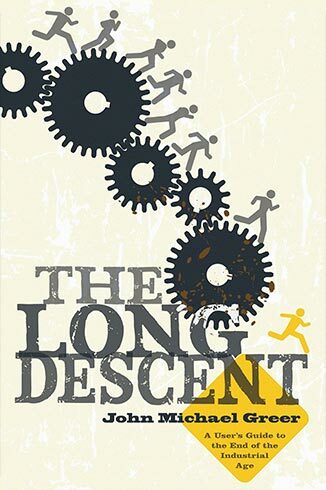 The Long Descent is Greer’s best known work and an extension of his previous, online essays and perspectives on peak oil. Greer does not expect collapse to occur suddenly or abruptly, but proposes it will follow a ‘catabolic’ process of progressive disintegration, possibly over centuries. In his scenario, short periods of abrupt and sharp downturns- the beginning of which we are experiencing now- punctuate longer periods of relative stability. Like an organism that begins feeding on itself, society will collapse in a series of stepped-down stages as it becomes progressively unable to meet maintenance charges with income. Industrial society is following the same well-worn path that has led other civilizations into decline, a path involving a much slower and more complex transformation than the sudden catastrophes imagined by so many social critics today. The roots of the crisis lie in the cultural stories that shape the way we understand the world. Since problems cannot be solved with the same thinking that created them, these ways of thinking need to be replaced with others better suited to the needs of our time. It is too late for massive programs for top-down change; the change must come from individuals. Collapse explores the theories, writings, and life of Michael Ruppert. Ruppert, a former Los Angeles police officer who describes himself as an investigative reporter and radical thinker, authored Crossing the Rubicon: The Decline of the American Empire at the End of the Age of Oil (2004), A Presidential Energy Policy: Twenty-Five Points Addressing the Siamese Twins of Energy and Money (2009), and Confronting Collapse: The Crisis of Energy and Money in a Post Peak Oil World (2009). Ruppert is best known for predicting the 2008 financial crisis in his self-published newsletter, From the Wilderness and public confrontation with C.I.A. director John Deutch where he reveals his experiences observing the C.I.A.’s involvement in the drug trafficking. Deutch stepped down as director only one month later. Ruppert recounts his life and career as an LADP cop and detective in the film, then summarizes our current energy and economic issues, focusing mainly on peak oil and sustainable development. He criticizes fiat money, fractional reserve banking, compound interest, and leveraging, and discusses alleged CIA drug trafficking Ruppert also makes an array of predictions including social unrest, violence, population dislocation and governmental collapses in the United States and throughout the world. 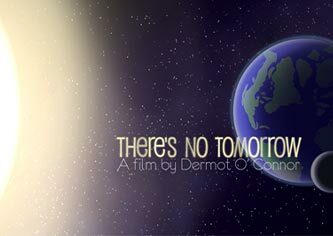 There’s No Tomorrow is an animated film dealing with resource depletion, energy, growth and collapse created by animator Dermont O’ Connor. Inspired by the pro-capitalist cartoons of the 1940s and 50s, it is an introduction to the energy dilemmas facing the world today. 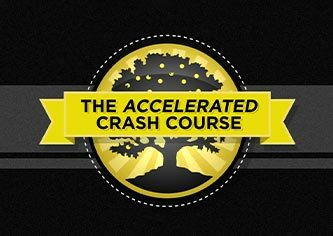 The Accelerated Crash Course (ACC) is a condensed version of Chris Martenson’s four hour long video series, Crash Course. The film attempts to provide a context for many of the massive changes currently underway, primarily the end of economic growth due to depleting resources. Martenson narrates an instructional presentation covering the nature and interconnectedness of the economy, energy, and enviornment, and forcasts the massive upcoming changes he sees as a result. Reddit is a social news aggregator, discussion website, and currently ranks as the sixth most-visited site in the world. Communities are organized in various ‘subreddits’, /r/collapse being the largest relating to collapse with over 60,000 readers. 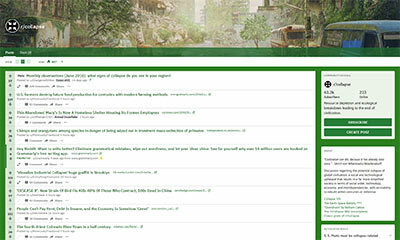 The subreddit focuses on discussion regarding the potential collapse of global civilization, defined as “a social and technological upheaval that results in a far more simplified society in terms of social order, technology, economy, and interdependencies, with an inability to rebuild within centuries or millennia.” /r/collapse represents and shares some of the most relevant and informative collapse-related content on the internet. Resilience publishes news, research, and analysis on energy, economics, the environment, and society with perspectives from many notable contributors. They explore geopolitics, ecology, population, finance, urban design, health, and religious and gender issues. They also publish many articles which demonstrate practical models of how to respond to issues locally. The site is a program of Post Carbon Institute (PCI). From 2004 to 2012 the site was known as “Energy Bulletin.” Over the years Energy Bulletin broadened its coverage from peak oil and energy to include other resource depletion, related issues, and articles which describe, encourage or educate on meaningful responses — in essence, the task of building resilience. From this came the inspiration to create resilience.org, which combines the best of the Energy Bulletin with the addition of sections for Groups engaged in building resilience, and Resources — a combination of user-generated and Post Carbon Institute media and reports. In January 2009, Energy Bulletin was adopted as a core program by the Post Carbon Institute and in 2012 relaunched as resilience.org. 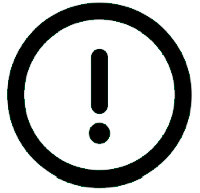 Except for PCI, resilience.org is unaffiliated with any private, government, or institutional body. Their site features news and resources related to the measurement, analysis, and dangers of global climate change. Interactive features include the Climate Time Machine, which allows users to go backward and forward through four different climate indicators including Sea Ice, Sea Level, Carbon Dioxide, and Global Temperature. Other resources include the water cycle, a virtual tour, and more. 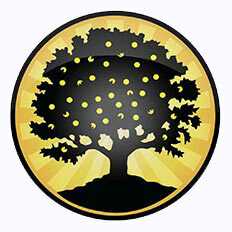 Peak Prosperity was founded by Adam Taggart and Chris Martenson and is best known as the home for the Crash Course materials, video series, and Featured Voices podcast. They aim to provide insights into the future of the economy and help its readers build resilience for their lives and communities and connect with other like-minded individuals. They believe we must reach a critical mass of individuals with an understanding of the ideas presented in the Crash Course, before any national or global solutions will even be possible. Because we are still quite far from this tipping point of understanding, they focus on educating and spreading awareness. 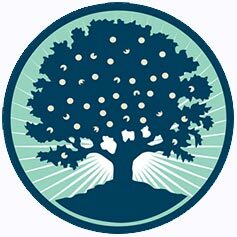 Founded in 2003, Post Carbon Institute is a think tank and non-profit organization based in Santa Rosa, California, United states. They are dedicated to leading the transition to a more resilient, equitable, and sustainable world by providing individuals and communities with the resources needed to understand and respond to the interrelated ecological, economic, energy, and equity crises of the 21st century. 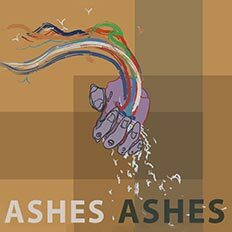 Ashes Ashes tells tales of systems out of control, environmental collapse, and ultimately a broken world. Each episode is free of ads, meticulously researched, and explores a specific systemic issue society is currently facing or will have to face in the coming decades. The show aims to draw the listener to the conclusion our overarching economic and political systems are inherently flawed, but once the fact is accepted, it becomes easier to do something about it. Featured Voices is focused on economic events, environmental issues, and building an understanding for effective solutions.. Martenson is an economic researcher and best known as co-founder of PeakProsperity.com and his Crash Course book and series, which attempts to teach the nature of energy, envioronment, and economy as we approach various limits to growth. The show features perspectives on current events by Martenson and interviews with many prominent scientists, economists, and politicians. 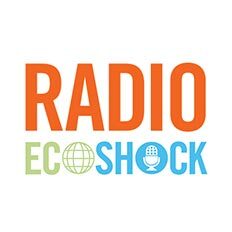 Radio Ecoshock is broadcast to over 90 college, community and commercial radio stations on three continents. The show is provided for free, contains no advertising, and is entirely funded by Smith. Smith is a long-time environmental activist, world-traveler, and former reporter. The show features interviews with scientists, authors, and activists from around the world. The focus of the show is largely climate change and “to help create a better environment, safe for all coming generations.” It also covers related issues, such as the fossil fuel supply system, peak oil, and the economics of energy. 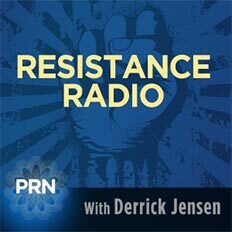 Resistance Radio features interviews with a broad spectrum of activists and focuses on building a culture of resistance and defending the natural world. Jensen is an outspoken opponent of civilization and author of several books, including The Culture of Make Believe (2002), and Endgame (2006). This guide is intended to evolve along with my own understanding and feedback from others. I am profoundly lacking in many areas of knowledge required to give quality or complete perspectives on collapse. I will eagerly welcome any feedback or potential collaborators. You can give the most effective feedback by taking the Collapse Survey, even if you only have limited experience in one or two areas of the field or forms of content. This site will never be monetized and is for educational purposes only.